Sky promotes 3D service with 3D ad for Avatar screenings | What Hi-Fi? The teaser commercial will feature before all showings of James Cameron's 3D blockbuster Avatar, which hits cinemas nationwide today. Sky has also created a public demonstration of its 3D TV content at the O2 and plans to provide a permanent demonstration at Sky's flagship retail store at London's Westfield shopping centre. 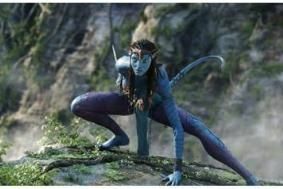 Avatar was chosen as digital cinema is the only media currently capable of delivering a high quality 3D TV experience to mass audiences. Released in 2D, 3D and IMAX 3D formats, the film has been hailed as a breakthrough in cinematographic technology – click here to read our thoughts. Hilary Perchard, Sky's Director of Product Management, said: “As we move towards the launch of the UK's first 3D TV services, these are our first steps in widening public awareness of the service and providing a ‘seeing is believing' experience. Sky has announced its intention to launch the 3D service in 2010. The service will offer a broad selection of the 3D programming, expected to include movies, arts, entertainment and sport (and Gladiators, apparently). The service will be available via the current generation of Sky+HD set-top boxes, though customers will also require a new '3D Ready' TV, which will go on sale next year, with companies such as LG already bullish about 3D sales.